Broadcast your message all over town! 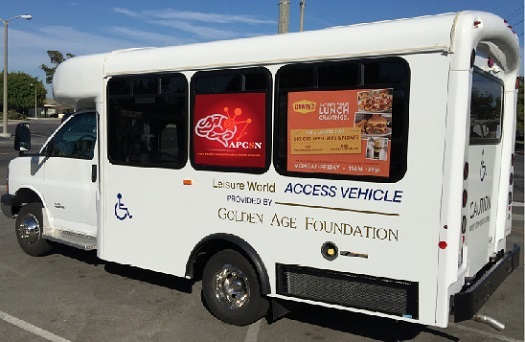 Exterior signage is available on 6 buses that travel within the community daily. Window clings are available on 2 buses that travel to local stops in Seal Beach and Long Beach. There is a 6 month minimum commitment for both. Signs and Clings are provided by advertiser.